Up to Db2 V10, data in the db2 can be accessed by either Indexing or Scanning. The new method is called Hashing. Hashing-it is not New. It is old technology. IMS databases founded upon hashing. Hash function is an algorithm. It converts data elements into a single integer. This number serves an index to database. How to create table with Hash function? 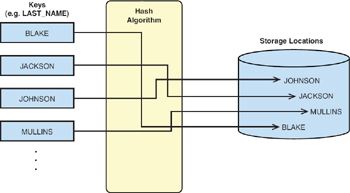 Hash space: It is defined area used for Hash access.